A Permanent Account Number (PAN) is a ten-digit alphanumeric number issued by the Income Tax Department which serves as an important proof of identification. Anyone can apply for a PAN, whether you are earning or not. You can even submit an application for a minor and even on behalf of a newborn. Applications must be signed by a legal parent or guardian. Application for fresh allotment of PAN can be submitted online. The charges for applying PAN online is Rs.106. Payment of application fee can be made through cheque, demand draft, credit/debit card or net-banking. Once the application and payment is accepted you will receive an acknowledgement receipt. You are required to send a proof of Identity & Address along with the acknowledgement to NSDL/UTITSL through courier/post. After they receive your documents, PAN card will be sent to your residential address. 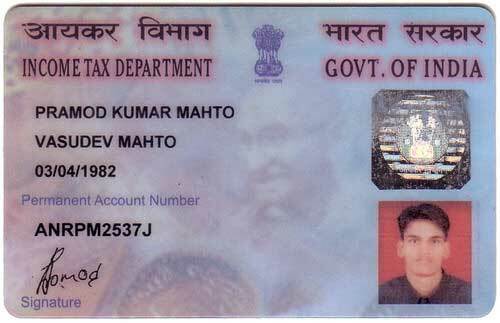 1) A copy of an Id and Adddress Proof. If one has it, provide your Aadhaar number so that PAN is linked to Aadhaar. It is optional right now, but will save future effort of Aadhaar linking when it becomes mandatory. 2. Click “New PAN for Indian citizens” and select “Online Application for New PAN (Form 49A)”. 3. Scroll down to the bottom of the page & select “Individual” as the category of applicant. 4. Fill all the fields which are marked with an asterisk. (Detailed instructions). 5. To fill area, range code, AO type and number click the Non-International Taxation AO details. Search your city by selecting the correct alphabet & click your city. Read the description and try to find the correct pin code for your region under the head,“NON CORPORATE WARD”. If you’re unable to find it or if no description is available, you’ll have to take help from your friend/relative who lives in your area and has a pan card. Go to this link and submit your parents/friend’s PAN number. You’ll get his/hers AO details. Enter the same information in your form. Once the application is submitted. You will be shown an acknowledgement page, which will have an Acknowledgement Number along with a summary of your details. It will also list the mode of payment and the documents to be submitted as address and identity proof, as chosen by you. You need to take a print-out of this acknowledgement page and affix a recent Passport-size photograph and sign in the box below using a “black pen only”. Please retain a copy of the acknowledgement for your reference. Finally, The acknowledgement duly signed, affixed with photograph along with Demand Draft, if any, and proof of identity & proof of address should be sent to the address given on the acknowledgement page. You may send the documents to NSDL via courier/speedpost. Note that the documents must reach them within 15 days from the online application. The PAN card will arrive at your house in about two weeks. Once you submit the documents, you can track the status of your PAN online via this link. lots of thanks for giving information on PAN & many more…..
How to upload a photo and signature image, there is no option in that. Is payment by demand draft is accepted by all banks or only in the branches of hdfc bank??? There is no minimum age. Anyone can apply. Im basically from Tamil nadu, I brought up in Kerala, Now I got married recently to Hyderabad….so from where I can apply for PAN card?…im confused… can u help!! Seriously I have no idea Daisy. Try contacting some local experts. hey, all the above is for indian citizens, plz let me know about pakistani citizen ASAP. i need pan card but i am foreign and i am student, i can apply for this card or no? Hey Sundar this is only for your people who are India citizens.Meaning those who are not in your country or citizens can’t make it as an amazon affiliate??? You can, provided amazon works in your region. 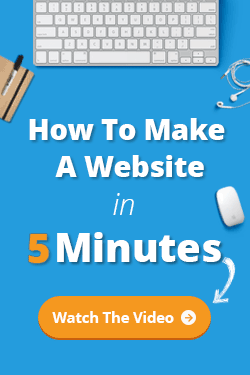 Go on their website and register as an affiliate.